Here’s A Quickie for you!! 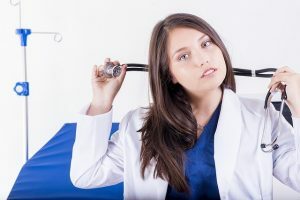 A growing trend among doctor practices and hospitals is to hire Physician Assistants (PAs) to serve in conjunction with, or in some cases instead of, doctors. PAs have been on the rise since the enactment of the Affordable Care Act, which recognized them as one of three primary care providers (Physicians and Nurse Practitioners were the other two). As such, PAs have a similar scope of duties to a Physician in many ways, with the primary difference being autonomy. Doctors act on their own, while PAs require supervision. PAs are able to examine patients, diagnose illnesses, and determine treatment plans. They can even practice in specialty areas. The one thing PAs cannot do is perform surgery; this is exclusive to doctors. So in order to be qualified to perform all of these important tasks, and to be a vital part of the client’s healthcare team, PAs do undergo extensive education and training. They are required to go to school for 4 years to obtain a degree, then complete a 25-month Physician Assistant program. Finally, PAs are required to complete a one-year clinical rotation. So while this is not near the experience and education requirements for a doctor, it is enough to understand and diagnose most illnesses. PAs provide a less expensive alternative to healthcare practices which helps to offset the costs to insurance companies and patients. Whether you are comfortable working with a PA instead of the doctor is a judgment call you must make, but know that everything the PA says will be reviewed by a doctor, and know that they get most of the same experience as a doctor. So you get the same care, the same set of eyes reviewing your course of treatment, and you get it for less. That just might make some sense. Thank you to Jenet from SH Limo Service for penning this article on PA’s, great job Jenet!